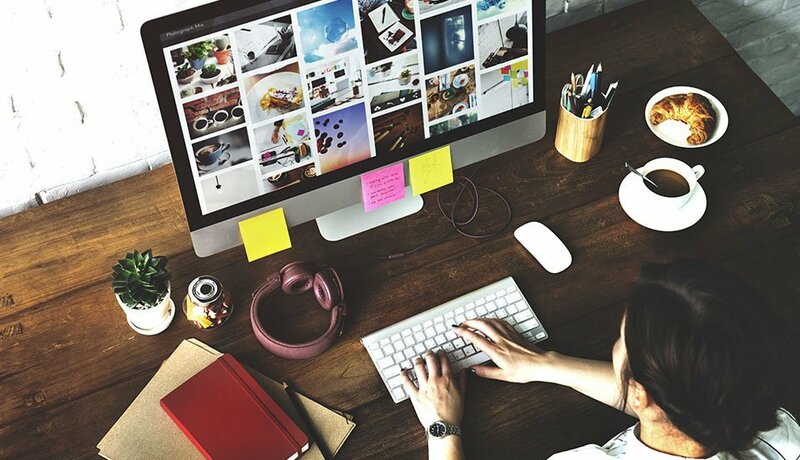 Transform the desks of your customers and prospects into a brand building promotion for your organisation. Introducing our hugely popular tent card calendars. 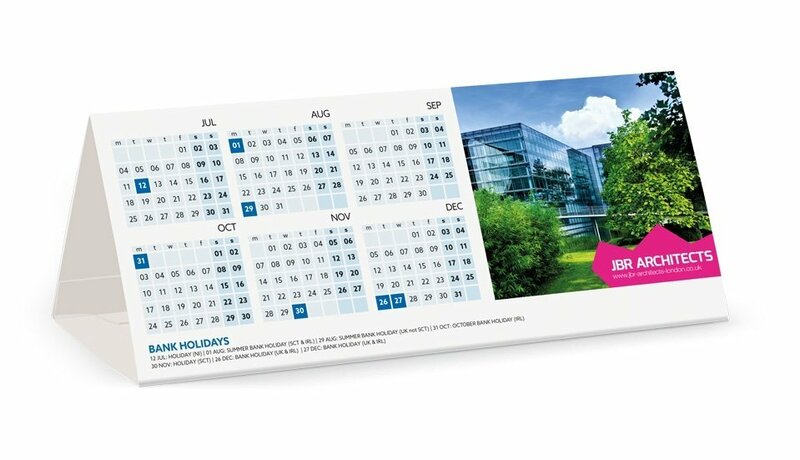 Genuinely useful, economical and highly effective, tent calendars are the perfect corporate gift, working hard to promote your message 365 days a year. To make artwork creation a breeze, download our free template file. The template features a grid of dates alongside space for you to add your imagery, logo and contact details. 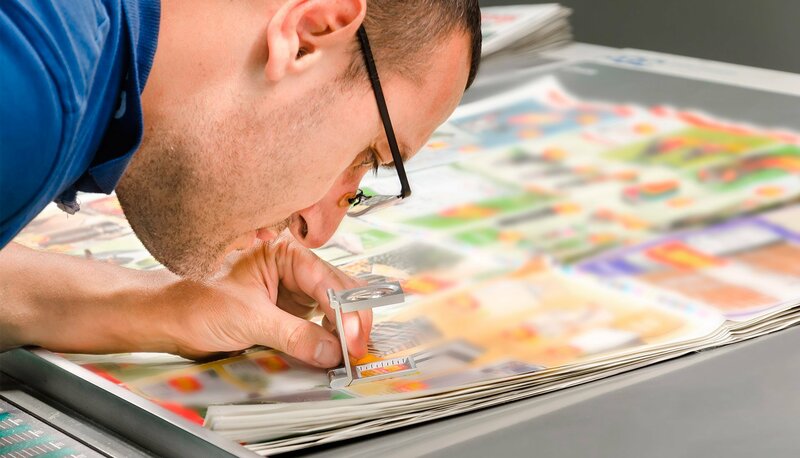 Alternatively, you can delegate the work of creating your artwork to our team of talented graphic designers. 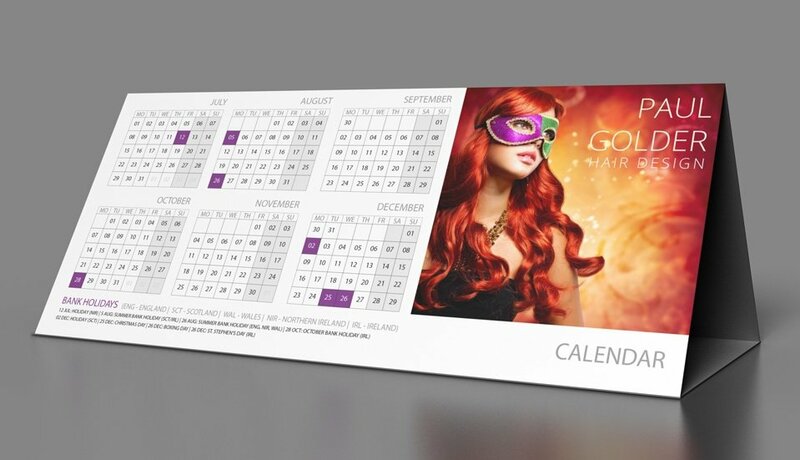 Supplied flat with a pre-creased, self-locking base for easy assembly, the outer panels of our tent calendars are printed in stunning full colour on sturdy 380 micron tent card board.